Pop singer, Tiwa Savage' estranged husband, Tunji Balogun, aka Teebillz, who reportedly relocated to the US to start his life afresh and also stay off social media, has made his first Instagram post after 8 months. "“One of the greatest regrets in life is being what others would want you to be, rather than being yourself.” “When you stop living your life based on what others think of you real life begins. At that moment, you will finally see the door of self acceptance opened.”"
He also asked if someone can help teach him how to use the platform again. Recall that there were reports in March that the couple resolved to formally end their troubled marriage. 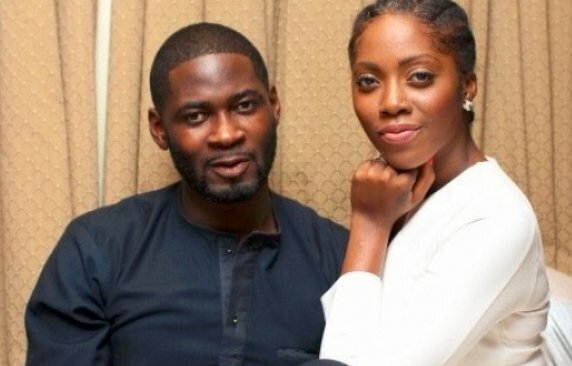 According to the reports, Teebillz filed for divorce, while other sources claim that it was Tiwa who sought to end the marriage. The couple fell out in April 2016 when Teebillz attempted to commit suicide by reportedly making attempt to jump into the Lagos lagoon. Shortly before then, he had launched a tirade on social media, accusing Tiwa of cheating on him with several persons such as 2face Idibia, Don Jazzy and Dr. Sid among others. On her part, Tiwa debunked his claims, saying the artistes’ manager was a drug addict and equally accused the husband of cheating on her. The last time they were spotted together was in November last year, when Teebillz surprised Tiwa on stage at the AFRIMMA Awards 2017 which held at the House of Blues in Dallas, Texas.